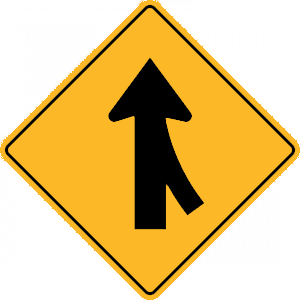 This sign indicates that there is merging traffic entering from the right. 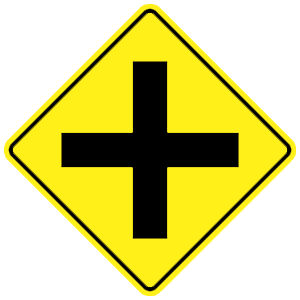 This sign means that you are approaching an upcoming intersection. Watch carefully for cross traffic. Keep the front wheel straight and set the parking brake. Turn the back wheels into the curb. 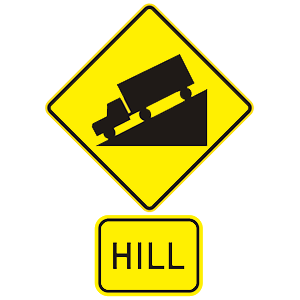 When parking on an incline where there is a curb, you should turn your wheels sharply to the left, away from the curb. This way, if your brakes fail, your vehicle will not roll into traffic. 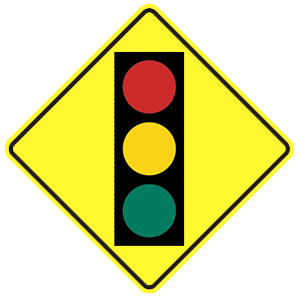 This sign means that a traffic signal is ahead. You should slow down and be prepared to stop.